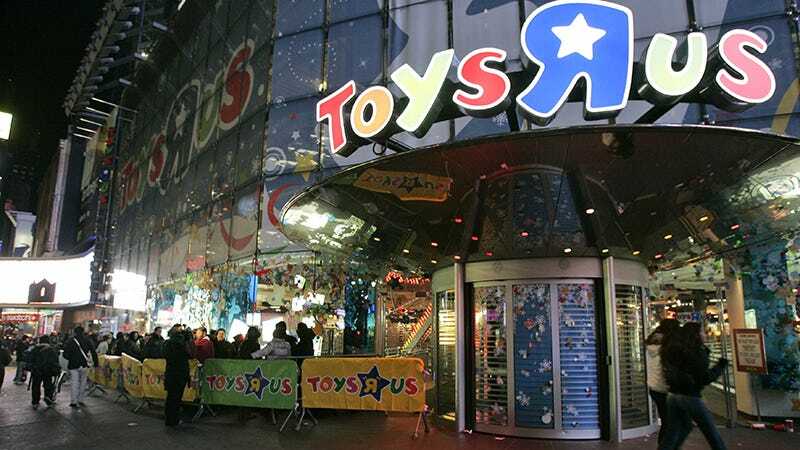 Faced with $5 billion in long-term investment debt and fierce competition from a rapidly-changing retail marketplace, toy and children’s goods retailer Toys’R’Us has filed for Chapter 11 bankruptcy. Don’t start mourning and sharing childhood memories just yet—it’s not the shutting down sort of bankruptcy. Things haven’t been great for Toys’R’Us over the past decade and change. The company’s been struggling to handle the massive chunk of debt since 2005, when a consortium of Bain Capital Partners LLC, Kohlberg Kravis Roberts and Vornado Realty Trust invested $1.3 billion towards a $6.6 billion leveraged buyout. A leveraged buyout combines equity (in this case the $1.3 billion) with debt (the remaining $5.3) to lower the overall cost of a financial acquisition. The idea is that the company’s operating revenue can then be used to pay off the remaining debt. As it turns out, Toys’R’Us’ operating revenue hasn’t been enough to make a major dent. Between competition with physical retailers like Walmart and Target and the rise of Amazon as a dominant online retail force, operating revenue hasn’t been great. Not only has Toys’R’Us been unable to handle the debt, the retailer hasn’t been able to commit any money to efforts that might make them more competitive. They need money to be competitive, but they aren’t competitive enough to make money. That’s where Chapter 11 bankruptcy comes into play. Unlike Chapter 7, which involves a company liquidating its assets and dissolving, Chapter 11 bankruptcy is a restructuring aimed at giving a company in debt more flexible means with which to address what they owe and resolve its situation. For example, Toys’R’Us has already secured a commitment for over $3 billion in financing from various lenders and investors to help keep things running while the Chapter 11 process takes place. The company’s retail and online stores in the U.S. and Canada will maintain normal operation as the company ramps up for the busy holiday season (stores outside of the U.S. and Canada will not be affected). Customer loyalty programs, credit cards, gift cards and whatnot will all operate as normal. Nothing is really changing, at least not yet. Toys’R’Us has a handy FAQ online to help answer customer and vendor questions about the proposed Chapter 11 restructuring. In short, don’t worry about stores closing or drool over potential going out of business clearance sales just yet. There’s still time to be a Toys’R’Us kid.